Sarah develops ideas into events, performances, and programs. Sarah is Director of Development for Forgotten Clefs. 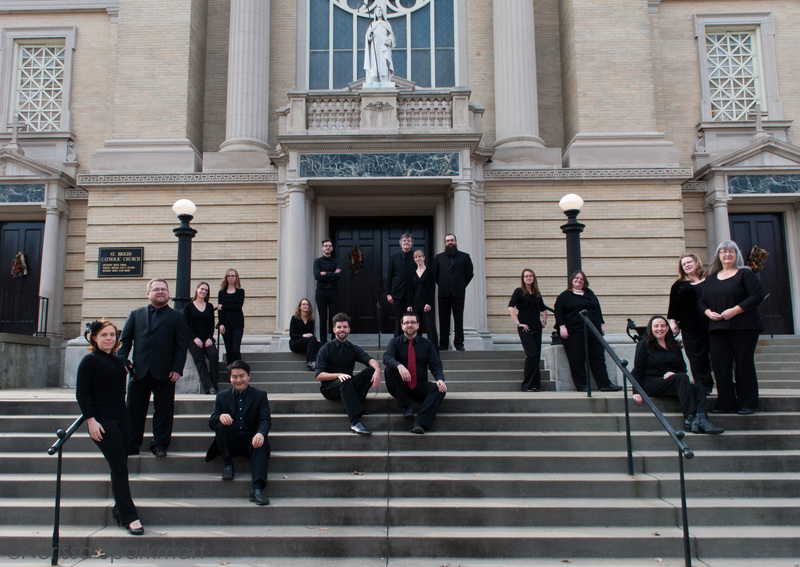 The ensemble formed in 2014 to perform and promote Renaissance civic wind band music. Sarah also serves as Director of Community Outreach. In that capacity, she created Shawms and Stories outreach program, which brings musical story time to schools and community centers in South-Central Indiana. Sarah is a staff writer for Harmonia Early Music, a nationally radio program syndicated on over 140 stations. Additionally, Sarah works as a fill-in Classical Announcer for the Community Idea Stations at WCVE Music in Richmond, Virginia. Sarah is always seeking opportunities to research performance practice issues, especially on eighteenth- and early-nineteenth-century topics. Areas of interest include: Georgian Theater, music for Shakespeare, ornamentation, HIP improvisation, and double reed performance. Sarah has presented on theater topics at the Notre Dame Shakespeare Festival and Indiana University. Additionally, Sarah has given presented lectures, lecture recitals, and papers at “Transforming 19th-Century HP” (Oxford University, UK); “Historical Performance: Theory, Practice, Interdisciplinarity” (Historical Performance Institute, Indiana University); “Musicking: Improvisation, Ornamentation, and Variation” (University of Oregon); and “Number, Measure, Scale” (Indiana Center for 18th Century Studies, Indiana University; and at the 2017 International Double Reed Society annual conference. “Mozart, Linley, and Obbligato Oboe” Newsletter of the Mozart Society of America, Vol. 21, no. 1, 10-13. “Performing Mozart’s Oboe Quartet on Classical Oboe Today,” International Double Reed Society Journal, Vol. 40, no. 1, 69-77.
forthcoming, “‘Eighty Pulse Beats in a Minute’: Johann Joachim Quantz and Time in Music,” Workshop: Number, Measure, Scale, Indiana University Center for Eighteenth-Century Studies.